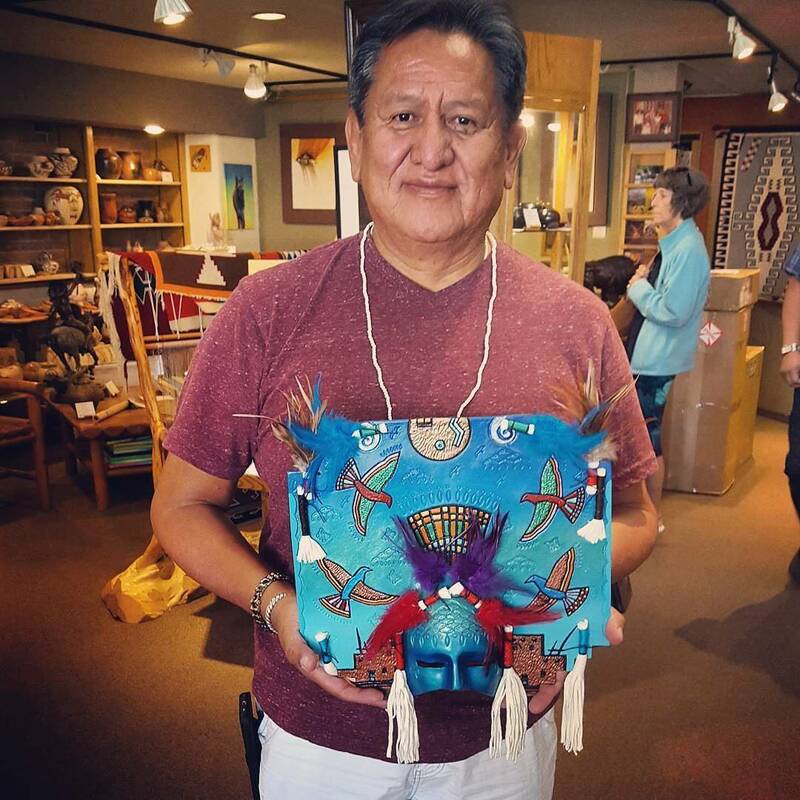 Peter Ray James, Navajo artist, is a creator of Spiritual Fabric Art. His celebrity collectors include Ahmad and Phylicia Rashad, Ted Danson, John Bon Jovi , and Wynonna Judd. "I am known among my Navajo people as Nahat'a Yilth Yil Wood one who delivers the message." It is my Navajo name that braids many generations of prayers, symbolism, tradition, honor, knowledge, and love. I truly believe my destiny is to be a storyteller through my artist endeavors. I am always honored and respectful to represent my family name in my homeland and abroad".